Pre-heat oven to 400°F and line a baking tray with parchment paper and set aside. In a small bowl stir together cherry tomatoes, olive oil and thyme. Transfer tomatoes to one half of lined tray. In another small bowl, stir together honey and cinnamon. Place sliced figs and rosemary onto second half of lined tray and drizzle with 1 tbsp. of cinnamon honey. 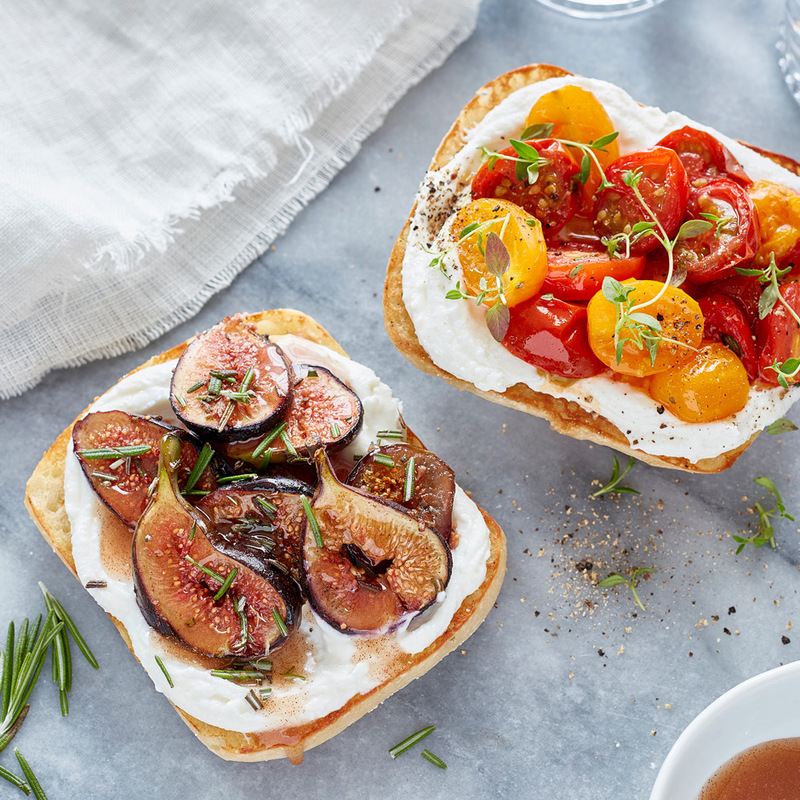 Roast figs and tomatoes for 10 -15 minutes, until soft and fragrant. Add feta to a small food processor and pulse until smooth and creamy. Toast ciabatta bun halves. Evenly spread feta onto to each bun half. Top two halves with tomatoes and garnish with fresh thyme and pepper. Top other bun halves with figs, garnish with fresh rosemary and drizzle with remaining cinnamon honey. Serve warm and enjoy! © 2019 Wholesome Harvest Baking LLC. All rights reserved.